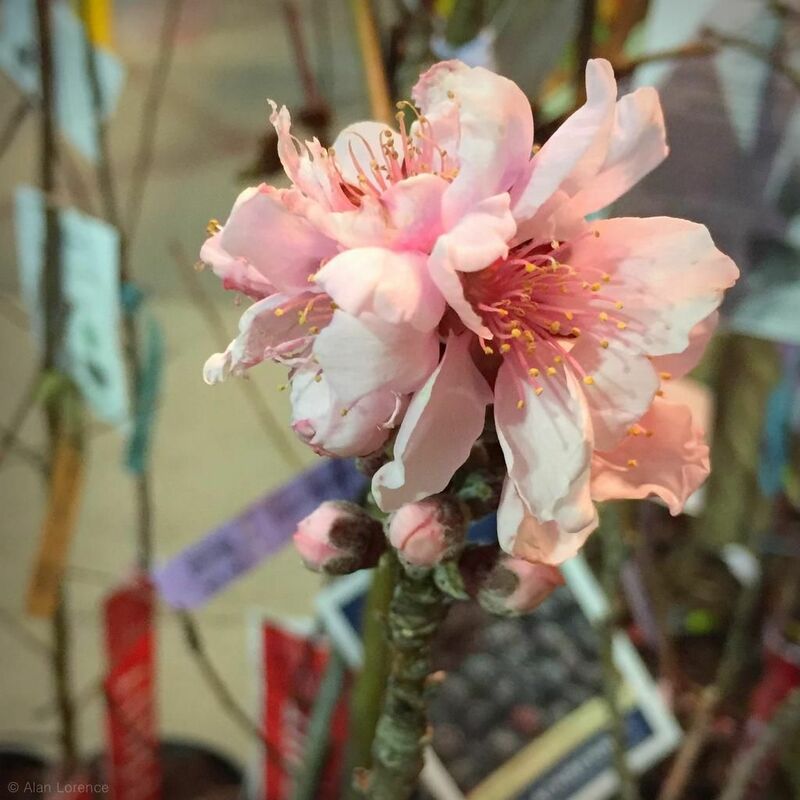 Is there any symbol of spring more powerful than a fruit tree in blossom? Is there any thought more appealing to the winter weary shopper than being able to walk out into your garden and pick a juicy, ripe fruit straight from the tree? 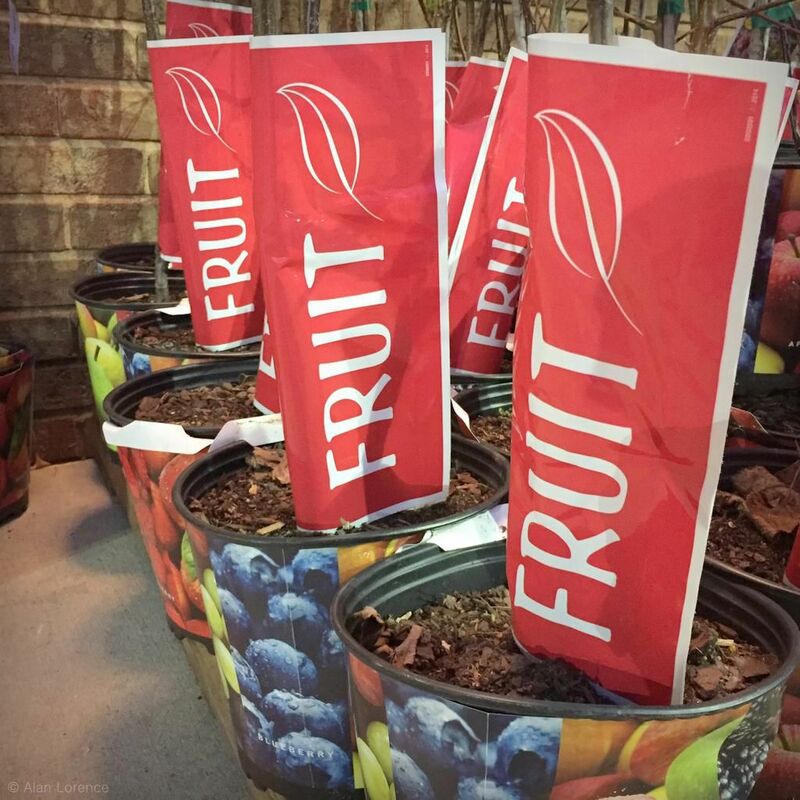 Combine the two and you have a very strong potential for impulse buy: fruit trees! 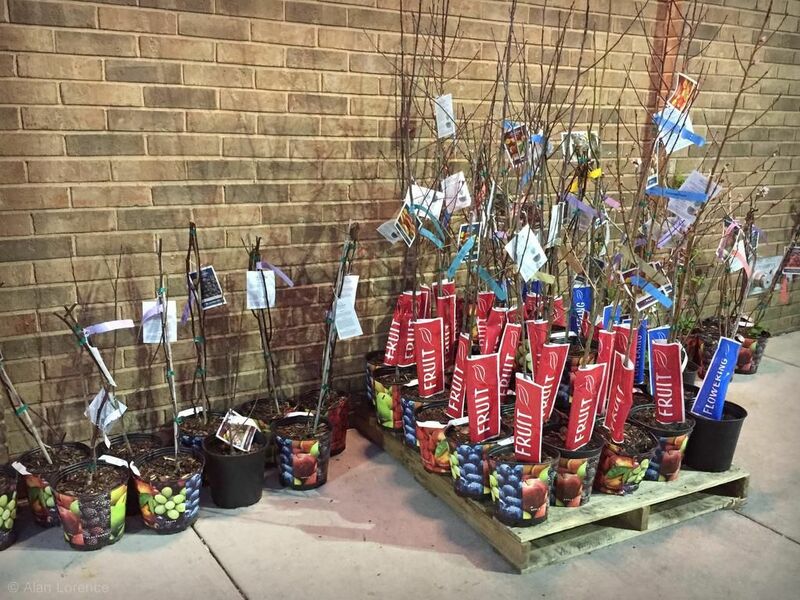 Sure you see these in every big box store around this time, but this collection was seen in front of a grocery store -- I buy all my trees from grocery stores, don't you? At least it was a local chain, so perhaps they selected varieties that will actually do well in the challenging St. Louis climate. I didn't look close enough to check. I've fallen for the fruit tree "scam" before, although mine were mail order purchases. What casual gardeners (or non-gardeners) don't know is that fruit trees are difficult. You have to prune them correctly the first couple of years. You have to keep them watered. You have to site them correctly. You also have to choose fruits and varieties that will do well in your climate (unless you live in the PNW, where I think the only "fruits" you can't grow easily are coconuts). Late freezes. Worse when following an early warmup, as these kill blooms. No fruit this year! Cold winters, hot and humid summers. The cold-hardy varieties don't like the summers, and the ones that can take the heat and mugginess can't handle the winters. Inopportune rain. A heavy drenching at the wrong time will swell that fruit and split it wide open. No edible fruit this year! Disease. Fungus, mildew, etc. Hope you like spraying! Blech. Birds. They like fruits too, or they at least like tasting them, ripe or not. All of that being said, it's still possible to grow some fruit trees here -- the peach tree in the hellstrip a couple of blocks away was always loaded with fruit. I just don't think the grocery store is the best place to find one. I succumbed to buying two rhubarb crowns from a local store instead of thinking it through carefully. I did want rhubarb but think I might have done better to pay a bit more so I could start with something more substantial. Yes exactly. Great post. Here at the big box stores we still see 'Elberta' peach, which belongs in Minnesota. The problem here is sufficient chill for stone fruits. 200-300 chill hours used to be reliable, but not anymore.